기도인연합 회원 그리고 성도 여러분! 우리는 오늘 특별한 목적으로 이곳에 모였습니다. 주의 재림을 사모하여 약속된 성령의 역사를 고대하는 성도들이 멀리 한국과 일본에서 해외에서 그리고 미국 각지에서 이곳으로 함께 모였습니다. 우리에게 주어진 마지막 시대의 사명을 간직하고 함께 기도하기 위해, 선악의 쟁투가 더욱 치열해 가는 이때 서로 믿음의 용기를 북돋우기 위해 이 성회에 함께 모였습니다. 여러분들을 진심으로 환영하며 우리 모두를 함께 모이도록 하신 하나님 은혜에 감사합니다. 2007년 시작된 연합기도운동은 소수가 함께 기도하는 것으로 시작되었습니다. 선교의 사명을 깨닫고 인간적 힘의 한계를 절감하는 사람들로 시작되었습니다. 미주에서 운동이 시작 되었으나 오래지 않아 그 활동이 범지역적으로 진행되었으며 시간이 지남에 따라 모임에 꾸준히 참여하는 사람들은 예견된 경건의 부흥에 대한 기대와 함께 이 운동에 대한 믿음을 갖게 되었습니다. 교회 내 기도에 대한 새로운 인식과 열정이 절실히 필요 되는 때 미국, 한국, 그리고 일본을 포함한 세계에 흩어져 있는 기도회원들이 하나님께서 이 운동의 시작부터 함께 하셨음을 확신하게 된 것입니다. 그 확신이 2012년 10월 한국에서 첫 재림기도인연합 성회(APC2012) 를 개최하게 하였으며 이어 2013년 11월 두 번째 재림기도인연합 성회(APC2013)를 일본에서 개최하게 한 원동력이 되었습니다. 특별히 일본 사이타마 시에서 있었던 일본연합회와 공동 주최로 가진 일본 성회의 결과로 일본 기도인연합이 결성된 것은 이 운동이 결코 한 민족 또는 어느 특정 지역에 국한된 운동이 아님을 확인시켰습니다. 무엇보다 일본 교회 기관과 참여한 한국, 미국의 기도회원들과 일본의 성도들ㅡ목회자와 평신도 모두가 한 마음으로 참여한 뜻깊은 집회였던 것입니다. 일본 기도인연합의 결성이 일본연합회의 전적인 지원으로 이루어진 후 일본의 회원들이 지금까지 지속적으로 기도회를 갖고 여러 활동을 진행하고 있는 것은 참으로 경하할 일입니다. 이제 기도인연합 결성 10주년을 기념하여 오늘 미국에서 개최되는 국제재림기도인연합성회(APC2017)를 통해서 전개될 일들이 지난 기간 이 운동의 확산에 성령께서 크게 역사 하셨음을 다시 확인시킬 것입니다. 기도인연합은 경건의 부흥에 대한 약속에 따라 연합기도운동을 통해 결성된 순수한 영적 각성 운동체입니다. 이러한 기도인연합에 함께 하는, 교회의 변화를 위해 절대적으로 필요한 성령의 능력을 확신하는 교단의 지도자들과 한국, 일본 그리고 미국 각지에 흩어져 있던 평신도와 목회자들이 한 마음으로 준비한 이번 성회에서 미주에서 성령의 역사가 불과 같이 확산되기를 소망합니다. 우리가 마음을 살피며 참여할 이번 성회를 통해 하나님께 영광 돌리기를 원합니다. 재림운동을 주도한 사람들에게 1844년의 대실망은 고통스러운 일이었습니다. 그러나 비록 성소 정결의 의미가 오해되어 초래되었지만 그 일은 인류구원의 거대한 장을 구분하는 예언을 성취한 사건 (단8:14, 계10:10) 이었습니다. 그리고 이는 다시 예언되어야 할(계10:11) 기별이며 아직 마쳐지지 않은 일입니다. 아울러 그 사건은 오늘 영적 타락이 현저한 세상에서 진리를 따르는 무리의 출현에 대한 예고이며 시대적 희망과 성소진리의 기별을 받은 사람들의 사명을 예시하는 것입니다. 연합기도운동은 이 사명감을 깨닫는 사람들로 확산될 것입니다. 2천 년 전의 제자들과 초기 재림운동에 참여했던 사람들의 상태가 오늘날 주님의 재림을 기다리며 기도의 정신을 실천하는 사람들에게 재연되어야 할 것입니다. 어린양이 어디로 인도하든지 따르는 그들의 마음이 세상적 가치가 아닌 한 영혼의 소중함을 찾을 것입니다. 하늘 지성소 봉사가 끝나가는 이 시대 마음을 살피며 (레 16:29) 겸비하게 하나님의 얼굴(대하7:14)을 간절히 구하게 할 것입니다. 제자들이 그러했던 것처럼 순전함으로 약속된 성령을 구하게 할 것입니다. 그리하여 종국에 우주 역사상 초유의 영광된 주의 재림을 고대하는 기로에서 “사도 시대 이래 일찍이 목격하지 못한 근본적인 경건의 부흥이 일어날”(대쟁투464) 큰 성령의 역사를 이루게 할 것입니다. 이러한 것을 생각할 때 기도운동이 시작된 지 10년이 된 오늘 우리가 갖는 국제재림 기도인 연합성회는 결코 평범한 집회가 될 수 없습니다. 이 성회가 큰 외침이 있기 전 우리의 상태를 처절히 깨닫게 하는 집회가 되기를 소망합니다. 여러 준비된 강사들의 말씀과 간증자들의 믿음의 간증들을 통하여, 참여하는 모든 성도들을 통하여 큰 성령의 능력을 체험하기를 소망합니다. 참으로 타락하고 피폐해진 이스라엘로 하나님과 언약 관계를 회복시킨 미스바 대성회의 축복이 이번 성회를 통해 경험되기를 소망합니다. 생생한 신앙 경험과 영적 교제를 나누며, 이천년 전 다락방에 모였던 120명의 제자들과 성도들처럼 이 시대에 약속된 늦은 비 성령의 역사를 구할 것입니다. 그리하여 꾸준한 기도의 정신으로 머지않은 장래 그 큰 외침의 순간 준비된 사람들로 우리가 함께 설 것을 간절히 기원합니다. Dear prayer members and congregation! We are gathered here today for a special purpose. Many of you have traveled from far away to come and pray in yearning for our Lord’s second coming and the promised Latter Rain of the Holy Spirit. As the battle between good and evil becomes more fierce, we gather here, together, for this spiritual revival—to pray, accomplish the mission for the last days, and encourage one another in faith. I would like to personally welcome each of you to this special prayer conference and give all the thanks to our gracious heavenly Father God. Our Prayer Coalition movement began in 2007 with a small group of Adventists who felt the limitation of human power and realized the urgency and purpose of God's mission. 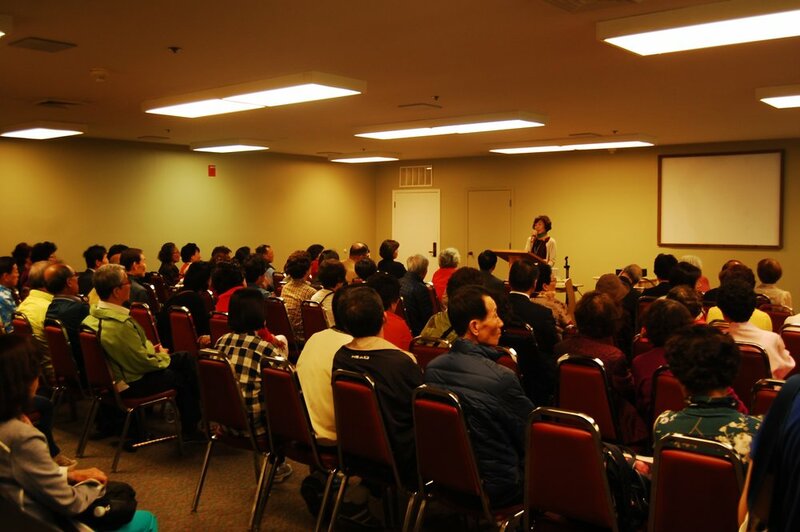 It started locally in the United States, but soon became a global effort as the number of prayer participants grew. We are convinced that God was with us from the very beginning of our prayer journey. Many of us have been involved in an effort to re-vitalize prayer in our church. 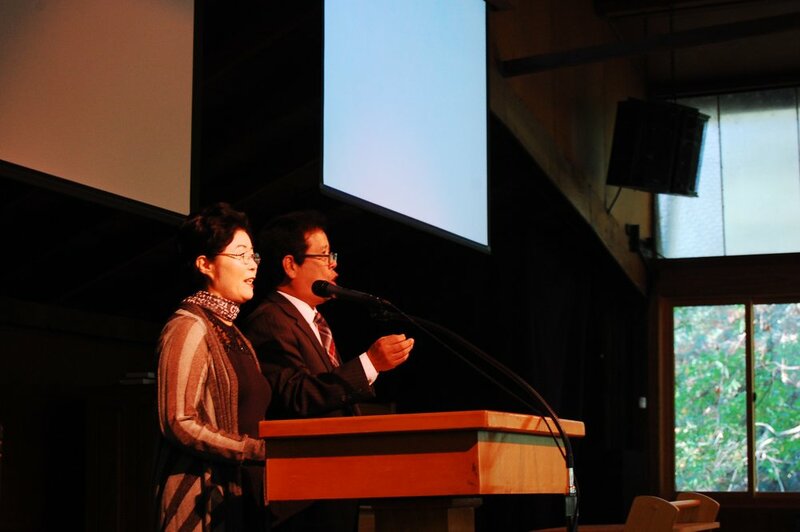 Stemming from those efforts, we were able to have our first prayer conference in Korea in October 2012 and our second conference in Japan in November 2013. 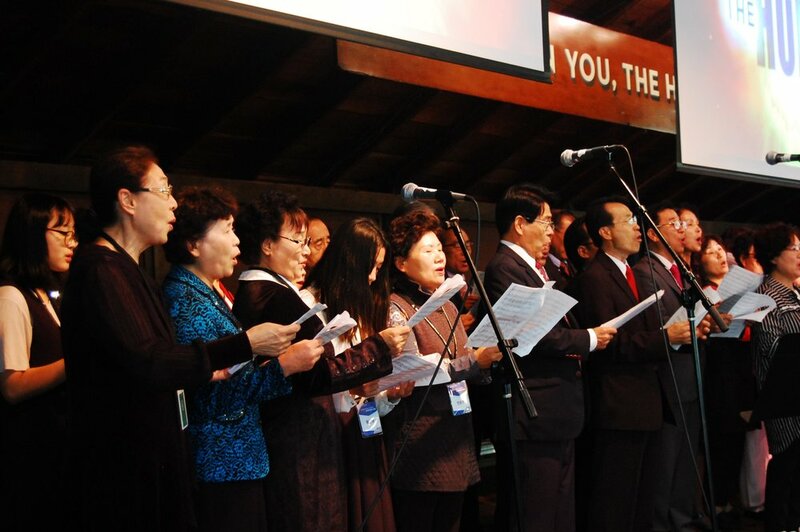 In particular, after the prayer meeting in Saitama City, Japan, which was co-hosted by the Japan Union Conference and Prayer Coalition, the Japanese Prayer Coalition was established, confirming that our movement was not something confined to a certain nation or region. Above all, the meeting was meaningful, as every participant—including the Japanese Seventh-day Adventist institutional members, Japanese church members, and prayer members from Korea and the United States—participated in one mind and for one purpose. I would like to extend congratulations to the members of the Japan Prayer Coalition for their hard work leading continuous prayer meetings ever since. As we commemorate the 10th anniversary of the Adventist Prayer Coalition today, we hope to reconfirm during this prayer convention that the Holy Spirit has been working through our movement for all these years. The Prayer Coalition is a movement in which we attempt to form a pure spiritual awakening according to the promise of spiritual revival given to God’s people. It is our hope and desire that we see the work of the Holy Spirit spread like wildfire through this meeting to help change the church in which lay believers and pastors work together as one in spirit. In 1844, the people who led the Second Advent Movement experienced the painful Great Disappointment. However, even with the misinterpretation of the Cleansing of the Heavenly Sanctuary, that event brought an enormous discovery that fulfilled prophecy (Dan. 8:14, Rev.10: 10). Moreover, this event was a foretelling of the rise of a group of followers of the truth in the last days of the world during which spiritual degradation is prevalent. It was also an illustration of the mission for those who have received the message of the hope of the times and the truth of the sanctuary. The Prayer Coalition movement will spread fast by the assistance of those who realize the urgency of this mission. We can have a similar experience that the disciples felt if we fervently practice the spirit of prayer. Instead of following the worldly treasures or values, we must follow the Lamb wherever He leads as we seek to help guide every precious, lost soul to the Lord. This is the time when we must look into our hearts (Lev. 16:29), humbly seek His face (2 Chron.7:14), and earnestly ask for His deliverance as His service in the Most Holy Place comes to aclose. We too need to be pure and ask for the promised Holy Spirit just like the disciples had. Then, we will witness the work of the Holy Spirit as foretold : “Before the final visitation of God's judgments upon the earth, there will be among the people of God, such a revival of radical godliness as has not been witnessed since apostolic times” (GGp. 464). Considering all that has been mentioned, this International Adventist Prayer Convention, which celebrates its 10th anniversary, is a special one. It is my prayer that this meeting will serve as an opportunity for us to thoroughly look into our hearts and understand the state of our soul before the Loud Cry. I sincerely hope that all of us experience the great work of the Holy Spirit through the speakers and testimonies. I also desire that all participants experience the many blessings seen in the Mizpah convocation just as God made a reconciliation with the Israelites when they were fallen and torn by their sins. Let us ask for the outpouring of the Latter Rain as we share God’s word and fellowship, similar to the disciples in the upper room 2000 years ago. I believe and pray that through the constant spirit of prayer, we will stand firm when the time comes for that Loud Cry proclaiming His Soon Coming!